I have visited East Beach 3 times in the past week! 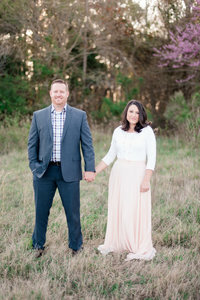 2 bridals and this amazing engagement session. East Beach is probably one of my favorite places to shoot! And with it not even being summer yet… I have a feeling I will be visiting this beautiful place many more times here soon!!! Bailey & Brock are getting married this June. They attended Scott & Candice’s Wedding back in September. I didn’t remember seeing them there so I had to go back and look through the wedding gallery. Sure enough I found Bailey getting down on the dance floor! 🙂 So I can only imagine how it will be at her own wedding!! These two are so much fun. Not only are they gorgeous and so photogenic in front of the camera…. They were just so much fun to take pictures of! I love their style and how they are as a couple. They are so energetic and down for anything. I know I have said this before but it doesn’t hurt repeating… Engagement Sessions are so very important!! Getting to know the couple and how they are with one another is so helpful! And more than that the couple getting to know us and how we shoot is also so important! I now know that Bailey loves to laugh and prefers the not so serious pictures… And I know Brock loves to be kissed by Bailey!!! So now Luke & I prepared for their wedding day!!! Thank-you two for such a fun session! Luke & I are so excited for June 3rd!!! Sharing some of our favorites!